The largest Fall boys and girls lacrosse tournament in Wisconsin, spanning and challenging 80+ teams from a dozen states and Canada. Grab your team and join us for some fall lacrosse, WI cheese, hot chocolate and bring home the bacon. 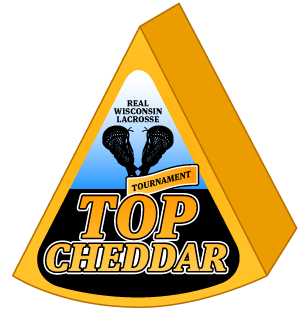 Thanks to all who made the 2018 Top Cheddar Lacrosse Festival a success! Teams and coaches gave it their all, and parents cheered their hearts out, all lending to the best Top Cheddar to date! We look forward to seeing everyone at Top Cheddar 2019! Check Back Soon For 2019 top cheddar Details!